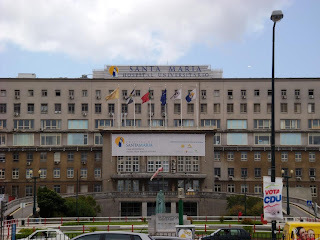 The Portuguese health system is better then the Canadian health system - surprised? This past monday at the Canadian Studies International Research Linkages Workshop Luso-Canadians and their Descendants in Canada and in Portugal I presented a paper entitled "When the idyllic becomes a myth: Portuguese-Canadian descendants narrate pre- and post-return to Portugal". The findings presented in this presentation where based on interviews carried out with 20 Portuguese-Canadian descendants that have returned to Portugal, either by themselves or with their parents or spouses. My main point of discussion was based on the arguement that Portugal, a country often perceived as fantastic and fun before returning, seldom maintains that reputation once return in accomplished. From the interviews carried out, people talked about their ruptures with Portuguese society encounted upon return, mainly concerned with the inner workings of Portuguese society, ranging from bureaucracies, to corruption, to lack of friendliness, to discrimination; to more personal experiences as well, namely clash of values and responsibilities and different ways of being. Now among these points of frustration, one point in particular was often highlighted - that of the Portuguese health system. 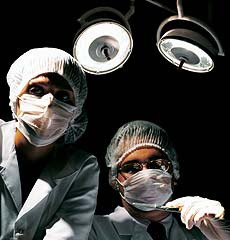 Many recounted negative experiences of waiting long hours before being attended to in emergency wards, waiting months on end for basic surgery, the disorganisation of Portuguese health centres and the bureaucracies involved in such things as obtaining a simple appointment, not to mention the lack of information distribution among different medical units and labratories (how often we do see people walking around with ex-rays in envelops, having to deliver them themselves). Now as I delivered my narrative findings at the workshop, it was these Portuguese health system concerns that the post-presentation debate centred on. Of course my interviewees based their tellings on their own dealing with the two health system worlds - the Canadian and the Portuguese. 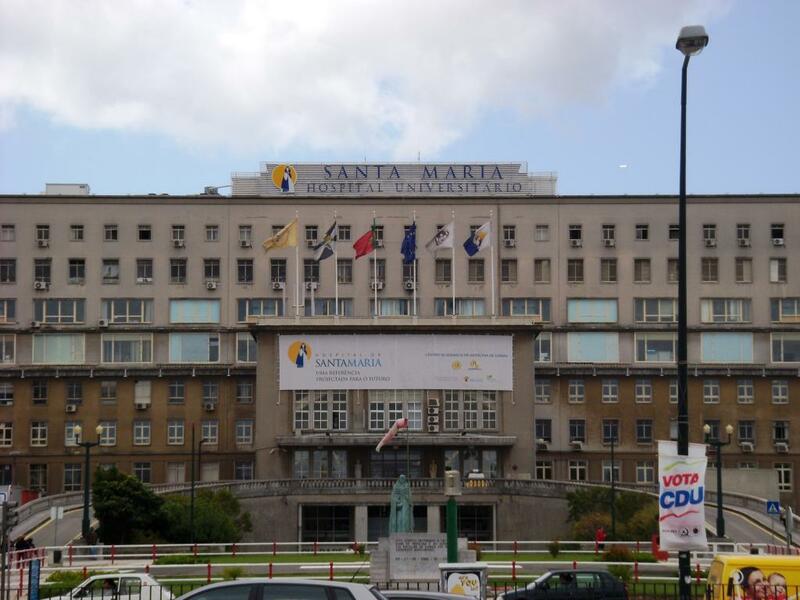 When someone mentions that Hospital Santa Maria in Lisbon (below to the left) looks like something brought over from the former Soviet Union and tells of the superior confort offered up by hospitals in Toronto (below to the right) (if in fact any hospital can bring any confort), he/she talks from personal experiences and perceptions. From these experiences, however, one thing must be remembered: they are fixed in time. If one is to read stories concerning the Canadian health system these day, one will also come across stories of long waiting lists for operations as well as bed shortages. In fact, when it comes to comparing the health systems of the two countries, many are often surprised to find out that according to the World Health Organization Health Report of 2000 (don't think there's been one done since), Portugal placed ahead of Canada at number 12 with Canada coming in at 30. Surely we all ask ourselves: how can this be? I certainly do ... and you? can facilitate me. Thank you!